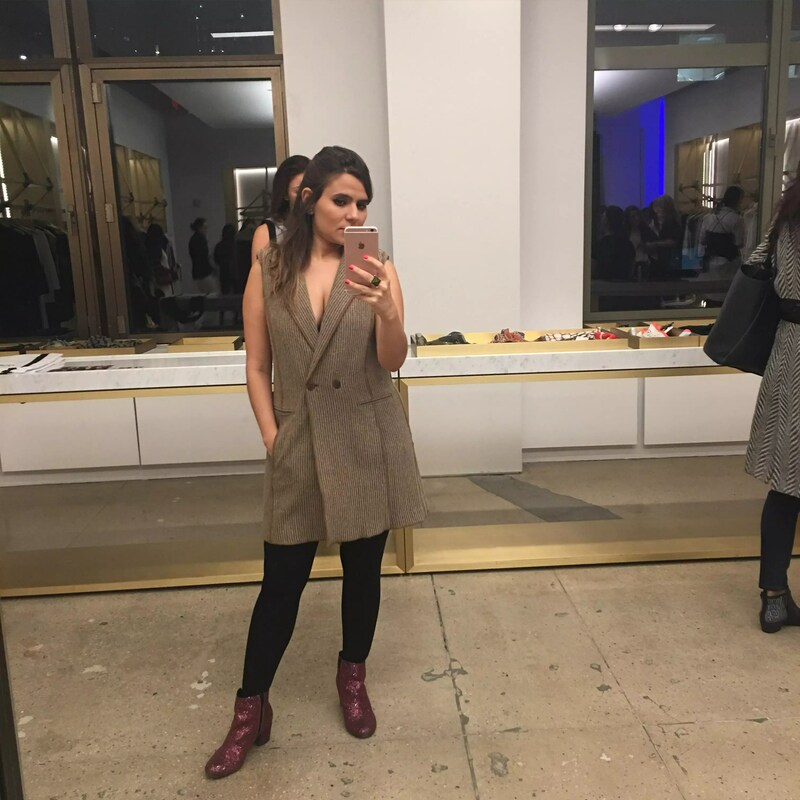 I was so excited about my W by Worth event during New York Fashion Week. W by Worth has amazing personal shopping experience. Either you go to their showroom with your personal stylist or tell them you needed a stylist. They have a quite good collection for different styles. Personally I love every single piece of W by Worth. I never have a chance to wear one of their piece before. I try ro pick different style dresses. Duster coats were so popular among the others. I decide go with gorgeous white duster coat, but I almost bought this maxi dress which is another gorgeous piece. I can’t wait to style this beautiful piece. I literally fall in love with W by Worth showroom, designs and workers. While styling session, I met with incredibly nice and talented women. Networking is everything and to make your name spread in this area is so difficult. There are so many talented fashion bloggers out there. And you need to know to how to get bigger. Meeting and being friend with fellow bloggers is one of the ways. Meeting with all this incredible people inspire me a lot. So which one do you think suit better to me?